painting Description This is a ceramic Painting built by casting the ceramic on the canvas frame and colouring it with Oil Colours. This is on of the famous painting styles in India and also very popular due to low price. 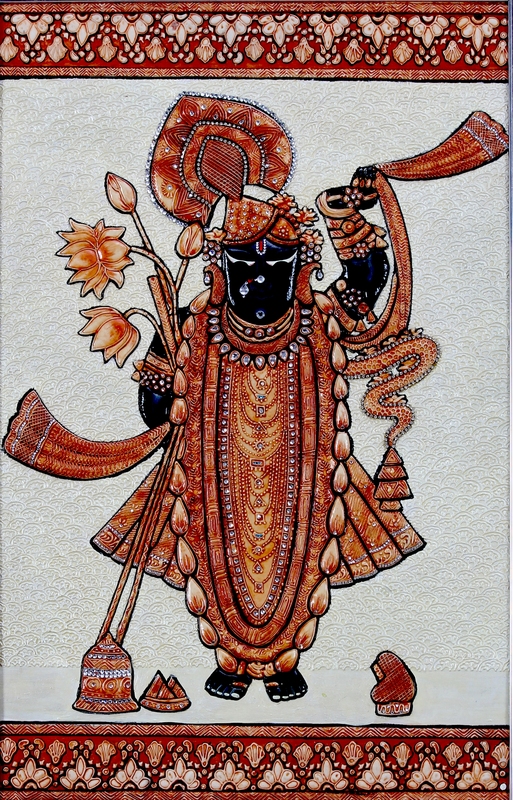 In this painting, the artist has tried to paint the full standing image of Lord Shree Nath Ji on Ceramic. Diemensions ( Length X Width X Height ) 22"x14"x1"